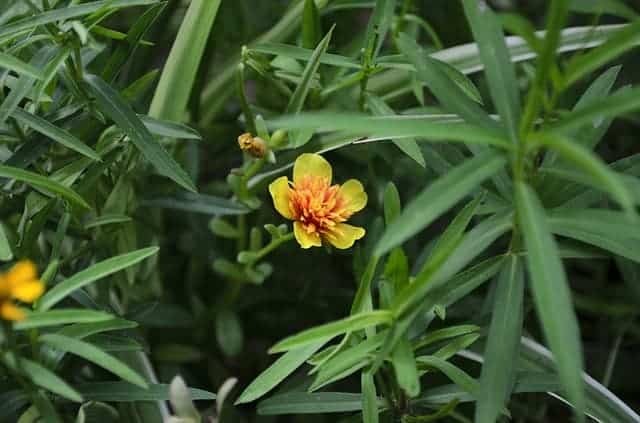 Several years ago, I was strolling through the garden center and I stumbled across a tarragon plant in the herb section. This is not an herb I have ever used a lot of and I had no idea what uses for tarragon I might come across but I bought a plant for the backyard herb garden. Little did I know that tarragon would THRIVE in my backyard! I never researched how to grow tarragon…I just stuck it in the dirt and lucked out. And wouldn’t you know it but tarragon is a perennial here in the south. It gets bigger every year! I have given some to neighbors and dried some in the dehydrator. I decided to make this easy tarragon vinegar recipe and thought I would share it with you. Of course, I still have more tarragon than I need so I started researching other uses for tarragon as well. I will include those below in case you have as much tarragon in the garden as I do! Tarragon is a perennial plant in the daisy and sunflower family. It has narrow aromatic leaves that are used primarily as a culinary herb. In my own garden, the tarragon that I planted about 4 years ago is still coming back every year. I honestly have so much tarragon I don’t even know what to do with it all! It is incredibly easy to grow so I thought I would share a few tips on how to grow tarragon so you can try a few new recipes. Start them indoors around April or before your area’s last expected frost date. Sow about four to six seeds per small pot. Make sure you use only moist, composted potting soil. Cover the seeds lightly and keep them in indirect sunlight at room temperature. Once they are about an inch tall, you can thin the plants and leave only the strongest and healthiest tarragon plants in the pot. Transplant them into the garden once they are about 4 to 6 inches tall or leave them in the pot for an indoor kitchen garden. Tarragon herb plants should be grown in full sun. Space them approximately 18 inches apart in well-drained, fertile soil. They will, however, grow fairly well in poor soil and can handle drought better than over watering. Add a bit of mulch in the fall for added nutrients and they should regrow in the spring with no issues. Check out my post on how to prepare your garden for winter to learn more about keeping your garden healthy during the colder months. Make sure you trim the plants regularly to keep them healthy and strong. A nice pair of herb trimmers or small pruning shears are an essential gardening tool in my yard! 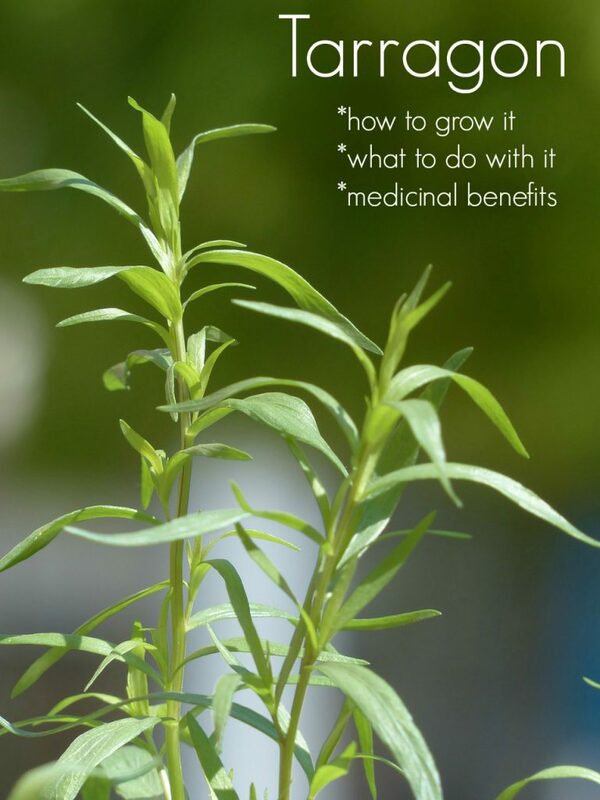 Check out the video below to learn how to grow tarragon. Relieve a toothache by chewing on tarragon leaves. They have a mild numbing effect which may take away some of the pain. Drink tarragon tea before bed to help promote sleep. It is also good for relieving anxiety. Tarragon tea for weight loss is also a very popular health benefit you might enjoy. You can buy tarragon capsules if you prefer. 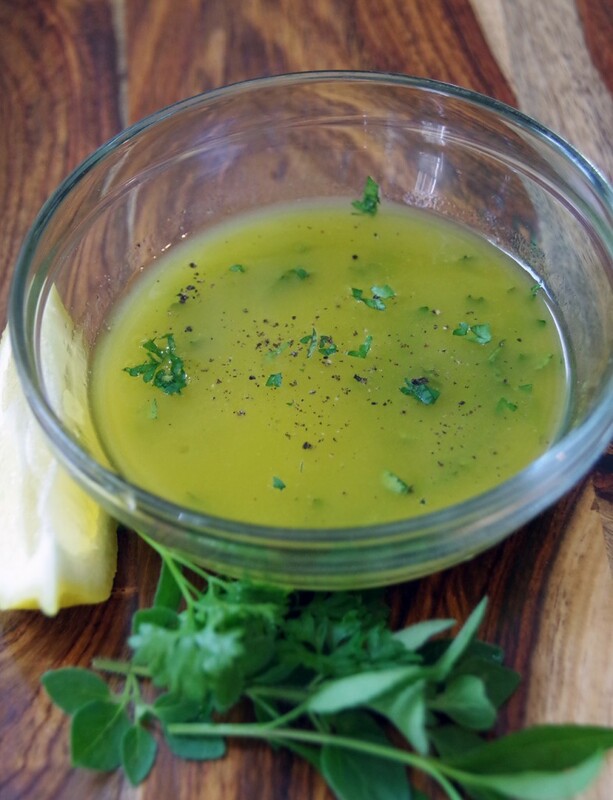 Make a vinaigrette with fresh tarragon. Minced tarragon leaves added to olive oil and lemon juice makes a delicious and light salad dressing recipe or marinade. Make tarragon oil. Great to rub on fish before you put it on the grill. My tarragon vinegar recipe below is great on salads. Use it in a cocktail. Add sprigs of tarragon to homemade lemonade. Drink as is or add a shot of vodka for a lemon/tarragon cocktail. There are tons of health benefits of tarragon. Check out The Free Range Life for more of them. This tarragon vinegar recipe is incredibly easy to make. Try not to spray your tarragon plant with any pesticides and use only organic fertilizers. Whenever you use a fresh herb to make oils and vinegar, you should store them in a glass bottle. Plastic really isn’t good for long term storage of this type of product. This tarragon vinegar recipe is quick and easy and makes a delicious addition to homemade salad dressing! Wash the tarragon leaves and pat dry. 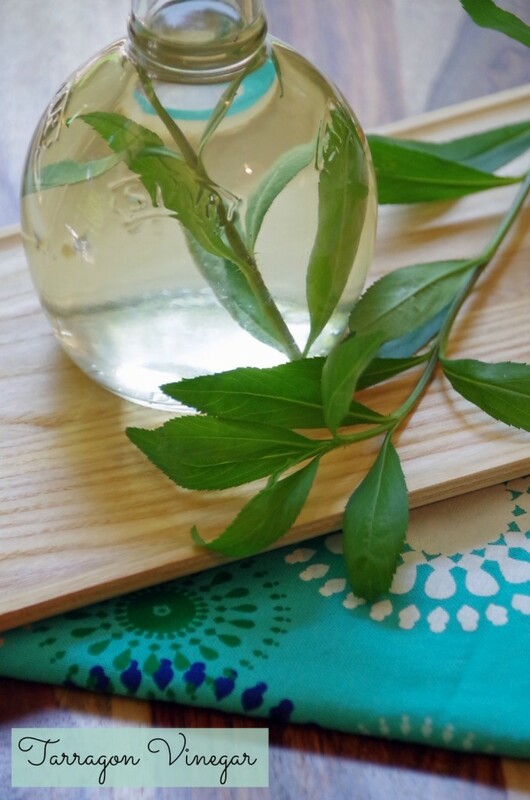 Pour the vinegar into a decorative glass jar and add an additional sprig or two of tarragon to the jar for decoration. Store in a cool dark place for up to 6 months. What other uses for tarragon have you found?